A beginner’s version of taking a line for a walk can be used for children in preschool or those with poor hand to eye coordination. 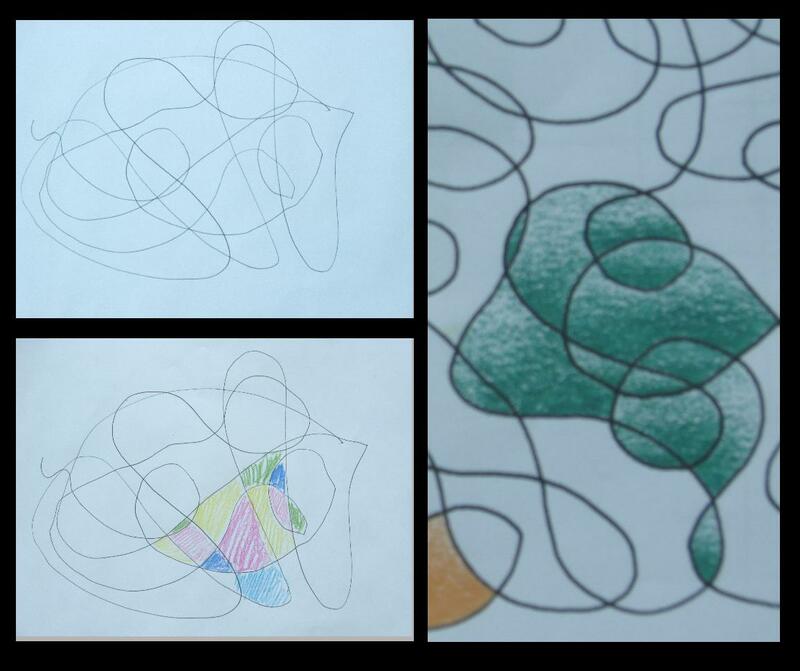 This drawing exercise is very simple and can yield satisfactory creative results regardless of ability. There are no pressures to make the drawing look like something or to practice exacting drawing techniques. The only lesson objective is to cover the paper with marks and/or colour. This basic drawing exercise for kids can be used as a first art lesson at school and even for preschool kids. Little artistic direction is needed and many different effects can be produced without too much effort by the use of several colouring pencils and a sheet of paper. 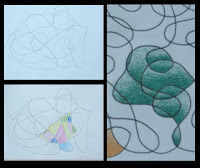 An ideal stepping stone into painting a first abstract, this art lesson would suit children of any ability, including those with poor coordination as there is room to explore different shading techniques and the use of line. The art teacher may firstly instruct children to place their pencils onto the sheet of paper and then simply move the pencil around in a random fashion. Children may look away as they move their pencils over the page or to move the paper around beneath their pencils. The only rule is not to lift the pencil from the paper during this mark-making process until the line is complete. It doesn’t matter if the line is uneven, jagged or scribbled; just keep the pencil moving over the paper in one continuous line until a line of some kind inhabits a fair portion of the page. Colour in the shape in one flat colour. Colour in the shape with two colours, one blending into the other. Colour in the shape with different marks, which might be cross-hatched, swirly or smooth. Colour in the shape via a blend of colours. Colour in the shape with any medium, be it felt-tip, crayon, pencil or pen. It doesn’t matter if the shading is neat or scribbly, so long as each child expresses a colour and/or line over the entire page. Select a contrasting colour to shade in a neighbouring shape. Red and green, for instance will appear brighter when placed side by side. Select a harmonizing colour to shade in a neighbouring shape. Blue and green for instance will appear more low-key. Select a contrasting tone to shade a neighbouring shape. Pale blue next to deep red will create a visually interesting partnership. Place side by side colours of differing mediums, which might be pencil and felt-tip. Kids of any artistic ability as well as those will poor coordination and low confidence will be able to take part in this art lesson, which involves taking a line for a walk. This means creating a long, random line over a fair portion of the page. It does not matter what the line looks like, so long as it inhabits a fair portion of the page in equal measure. Enclosed spaces can then be coloured in by the means of any drawing medium, colour or mark. Interesting effects can be discovered by colour exploration. The only art objective is to cover the entire page with line and/or colour. Interesting patterns and designs will often emerge.